Spring, Texas – November 19, 2018: The Harris County Sheriff’s Office has released video of the Oct. 31, 2018 officer-involved shooting that resulted in the death of Jose Luis Centeno Jr. (17). Centeno attempted to evade a deputy who was initiating a traffic stop after observing Centeno failure to stop for a school bus. The school bus was unloading students in the 7600 block of Spring Cypress Road. After a brief pursuit, Centeno’s vehicle became stuck in a ditch in the 14800 block of Stuebner Airline Road. 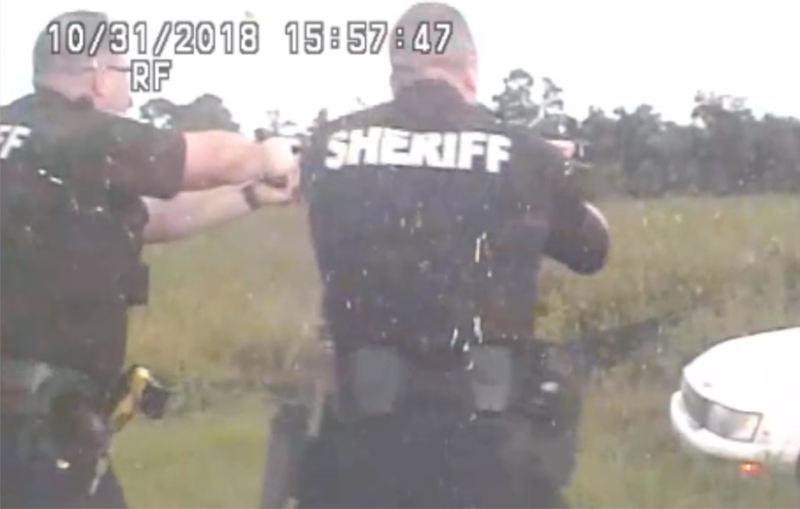 As deputies approached his vehicle on foot, Centeno disregarded the deputies’ verbal commands, raised a handgun and fired it in the deputies’ direction from the driver’s seat. Five deputies then returned fire, fatally wounding Centeno. It was later determined that Centeno’s weapon was a replica air gun powered by a carbon-dioxide canister.